USDCAD is under the influence of the oil price and the Fed’s policy statement. 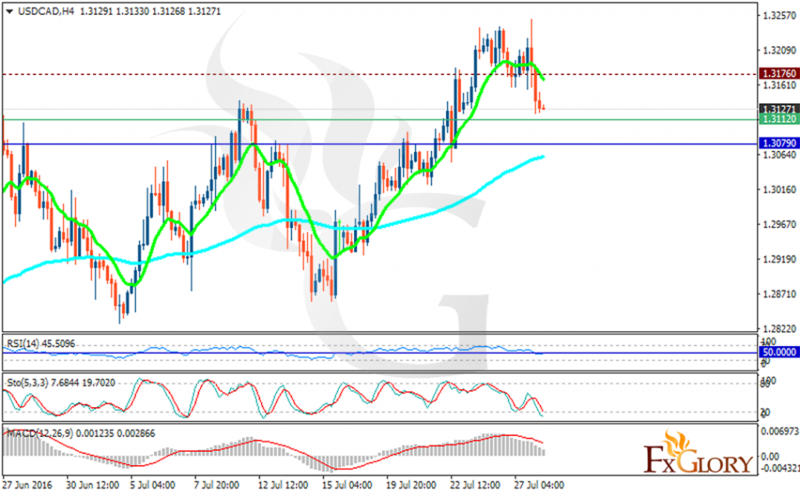 The support rests at 1.31120 with resistance at 1.31760 which both lines are above the weekly pivot point at 1.30790. The EMA of 10 is falling down towards the EMA of 100. The RSI is moving below the 50 level, the MACD indicator is moving towards the negative area and the Stochastic is showing downward momentum. The support level break through will pave the way for further decline towards 1.3100.